Parents need to be challenged over their belief that higher education is the “only measure of success” for school-leavers, the head of a national education body has warned. Nessa White, general secretary of Education and Training Boards Ireland, was responding to the findings of a study which show alarming dropout rates among students in some computing and engineering courses with low CAO entry points. 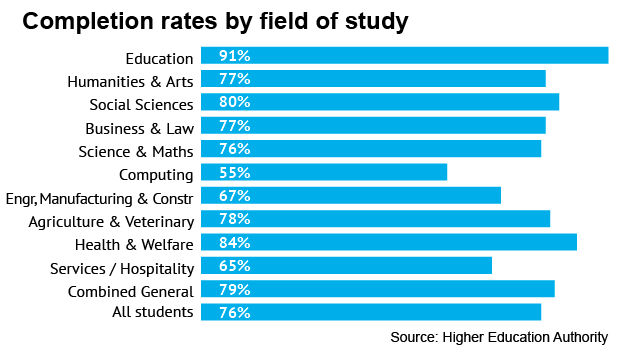 For example, the Higher Education Authority study shows some engineering courses at IT Blanchardstown had drop-out rates of up to 89 per cent, while some computing courses at the same college had non-completion rates of up to 83 per cent. 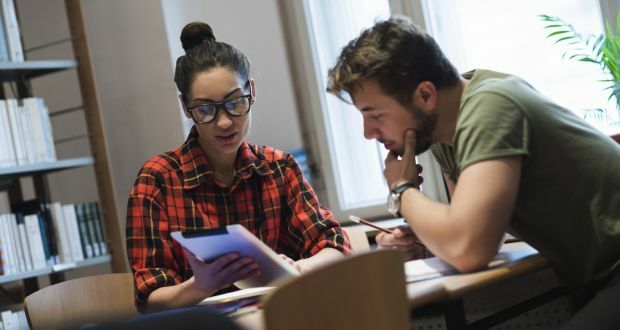 Some educationalists have questioned whether too many students feel compelled to go to college, even though they may flourish with more hands-on options such as further education or apprenticeships. “The findings of the report provide stark evidence that we may not be getting this right for the students and learners of Ireland,” Ms White said. “The findings also provide us with an opportunity to challenge the conditioning parents have that the only measure of success is that your child progresses to third level education. She said Education and Training Boards (ETBs) – which run further education colleges – provide many options to ensure progression in a person-centred way that help ensure students can reach their full potential. The issue of minimum entry requirements for third-level courses has also come under the spotlight as a result of the Higher Education Authority’s report findings. Students with low CAO points are much more likely to struggle, especially where they have poor maths or English grades in the Leaving Cert. However, many colleges have low minimum entry requirements for what are often highly demanding courses. When asked whether its entry requirements will change, IT Blanchardstown – now part of the Technological University Dublin – said the report’s findings were based on a single cohort of students who started college in 2007-2008. She said student supports such as enhanced orientation programmes, peer mentoring, maths learning centres and academic writing centres were available to help those at risk of struggling. 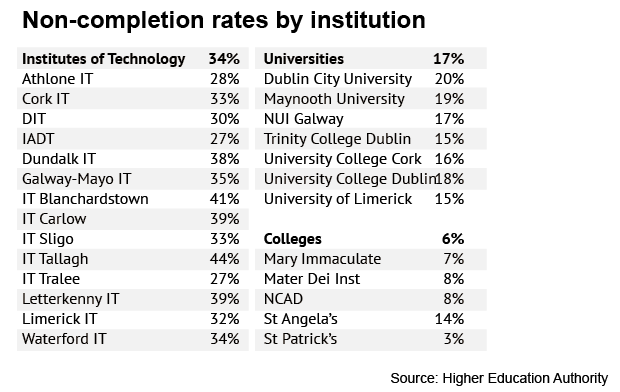 Linda Keane, the Irish Computer Society’s strategy and operations manager, said one of the factors behind high drop-out rates may be a poor understanding of the demands of computer science courses. “Students might expect it [computer science] to be about gaming and social media, and their parents might expect it is about skills such as spreadsheets, word processing, email, and so on,” she said. She said these courses required good problem-solving skills, computational thinking and good level of maths.